What excites and inspires Dan Shechtman in science today? On April 8, 1982, Shechtman was studying an alloy containing 86 percent aluminum atoms and 14 percent manganese atoms, which Boettinger lab member Frank Biancaniello had produced using melt spinning. Shechtman was looking at the arrangements that electrons ended up in after traveling through the material, known as their diffraction patterns. 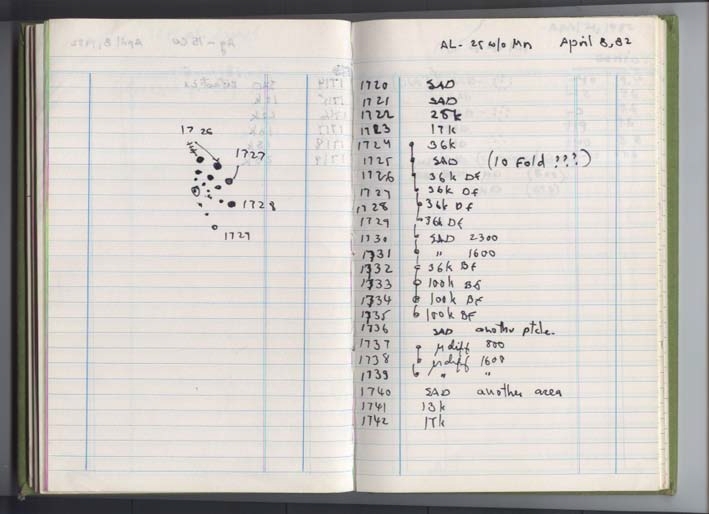 Dan Shechtman's lab notebook at NIST recorded the first observation of crystals with 10-fold symmetry. The diffraction pattern he observed seemed to have tenfold rotational symmetry: after a tenth of a full rotation, the crystal would look the same. But a crystal producing such an arrangement would never repeat, and contradicted the laws of crystallography that everyone, including Shechtman, had learned in school. He remembers, “I said to myself in Hebrew, ‘There ain’t no such animal,’” [אין חיה כז in Hebrew]. Based on previous experiments Shechtman performed years earlier, he knew that tenfold rotational symmetry of a diffraction pattern can result from tenfold “twins.” In the twinning phenomenon, two or more crystals of different orientations become fused together. In theory, twinned periodic crystals could produce a diffraction pattern mimicking that of a crystal with the forbidden symmetry. As his logbook showed, Shechtman spent the whole afternoon of that day trying different TEM techniques to find the twins. “I wanted to find the twins, record them and forget about it. If the tenfold diffraction pattern was a result of tenfold twins, it was not interesting,” Shechtman says. Dan Shechtman produced this first view of a crystal with icosahedral symmetry, made of groups of atoms placed in the corners of a 20-sided, soccer-shaped icosahedron joining in space according to specific “matching rules” that require the sides to fit together properly. The compound in question was an alloy of aluminum and manganese. Shechtman then took his results to Cahn. “My initial reaction was, ‘Go away, Danny. These are twins and that’s not terribly interesting,’” Cahn later recalled. Shechtman finished his two-year appointment at NIST, and in 1983 went back to Technion, where he showed his results to Ilan Blech, a colleague in the materials engineering department. Blech developed a computer model to explain the results by postulating a crystal with icosahedral symmetry, made of groups of atoms placed in the corners of a 20-sided, soccer-shaped icosahedron joining in space according to specific “matching rules” that require the sides to fit together properly. With their collaborators, they came to realize that the tenfold pattern in the diffraction data was actually revealing a crystal with fivefold symmetry, something equally forbidden in crystallography. Shechtman and Blech submitted a paper to the Journal of Applied Physics, where it was immediately rejected. They then sent it to a lesser-known journal, Metallurgical Transactions A. 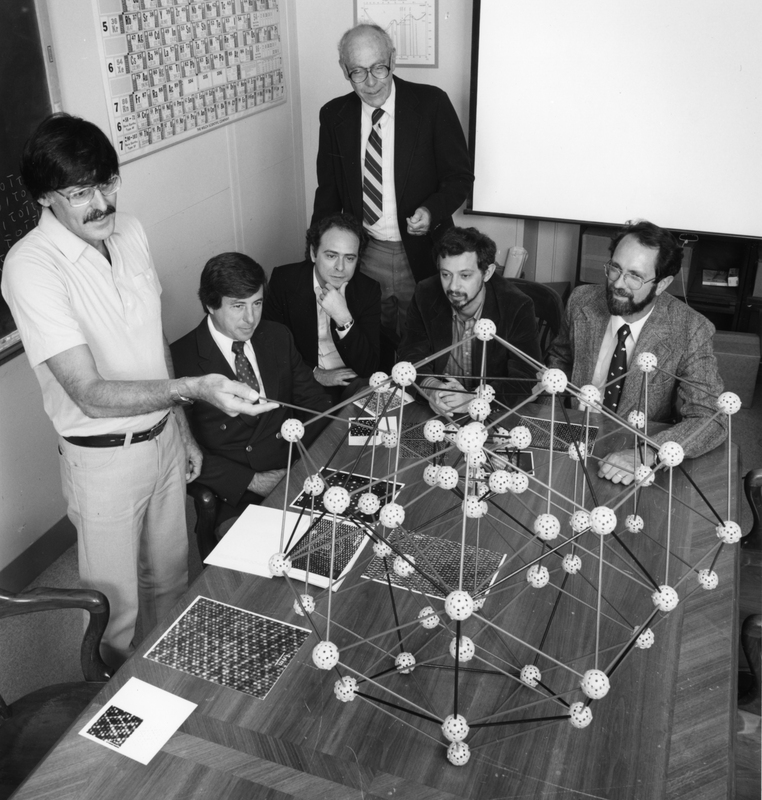 At NIST in 1985, Dan Shechtman (left) discusses the atomic structure of quasicrystals with colleagues (from left to right) Frank Biancaniello, Denis Gratias, John Cahn, Leonid Bendersky, and Robert Schaefer. With Cahn, an internationally known figure in materials science, now publicly endorsing Shechtman’s revolutionary interpretation, crystallographers immediately took notice. 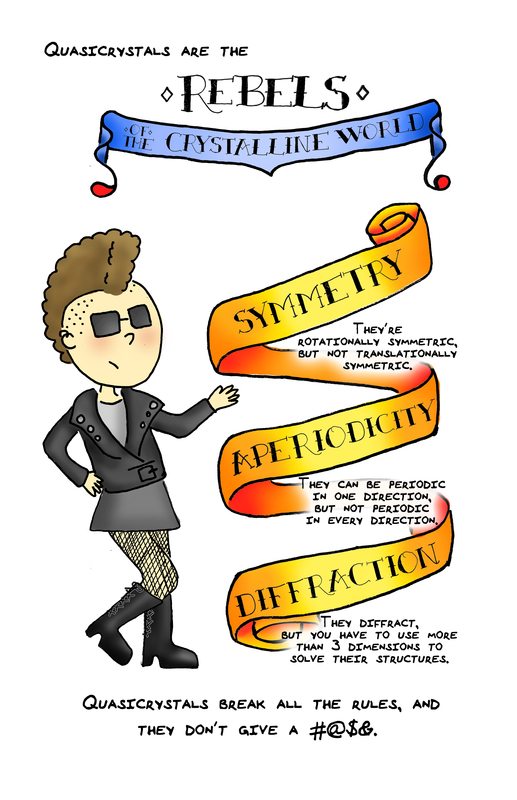 A page about quasicrystals in "Atomic Size Matters," a comic book about crystals. Unbeknownst to Shechtman in 1984, others had already thought about the possibility of icosahedral crystals. In particular, crystallographer Alan Mackay in 1982 had applied ideas that mathematician Roger Penrose developed in the 1970s to imagine how atoms could form non-periodic crystals. When physicist Paul Steinhardt of Princeton University was asked to review Shechtman’s PRL manuscript before publication, he realized Shechtman had discovered an example of what Mackay had theorized. Just five weeks after the Shechtman paper came out, Steinhardt, along with physicist Dov Levine at the Technion, published a paper, also in PRL, putting the results into a larger theoretical context and drawing additional attention to the discovery. 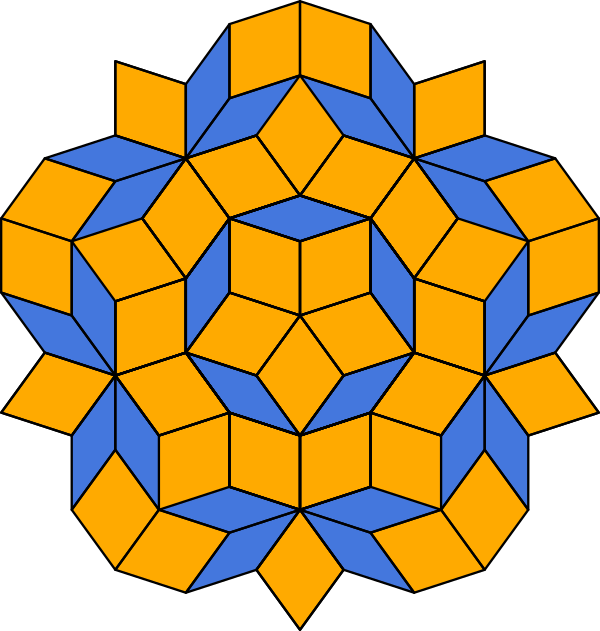 Example of a Penrose tiling, a quasiperiodic pattern of the type investigated by mathematician and physicist Roger Penrose. It also turned out that at least one other scientist had previously stumbled upon unusual diffraction patterns similar to the ones Shechtman observed. But rather than pursue and publish the discovery, he filed it away and continued with more conventional research. “That was a mistake on his part,” says Shechtman. In 1983, Shechtman recommended that materials scientist Leonid Bendersky replace him at NIST. Bendersky was another expert in electron microscopy who got his Ph.D. at Technion. He became a visiting NIST scientist and later a staff scientist. 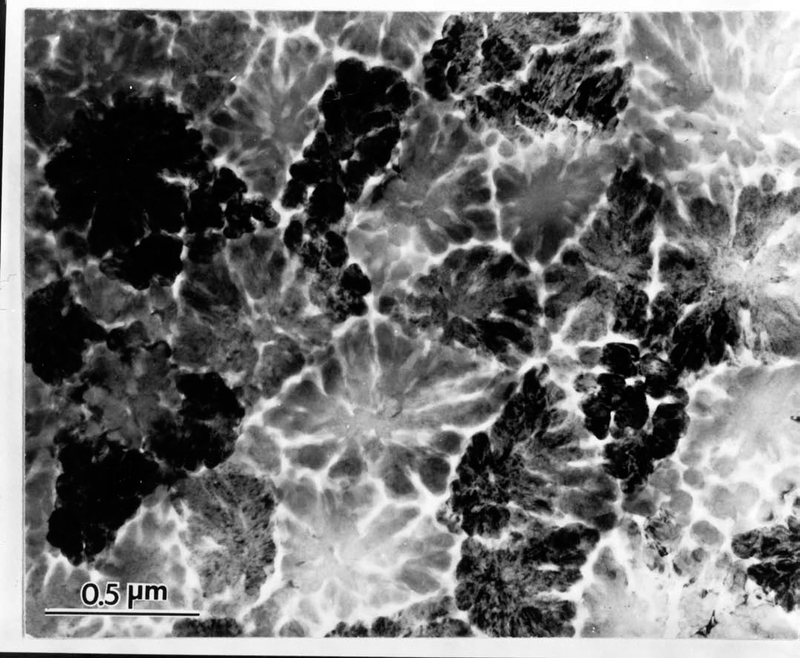 Bendersky discovered in alloys of aluminum and manganese (and aluminum and chromium) a second quasiperiodic material, with a single tenfold, or decagonal, rotational symmetry. This discovery helped scientists to develop a general understanding of quasiperiodicity; more materials were soon discovered with other previously forbidden symmetries. In this video from the Israel Ministry of Foreign Affairs, Dan Shechtman talks about his 2011 Nobel Prize in Chemistry and the criticism he initially received for his work. In his Nobel lecture, Shechtman identified five reasons that quasicrystals were not discovered until 1982: TEM, professionalism, tenacity, believing in yourself and courage. He also showed a slide of a cat walking confidently past a line of 20 German shepherds, illustrating the attitude he needed to continue defending his ideas when others were attacking them. Pauling died in 1994, having never accepted quasicrystals. But chemistry had moved on, and in 2011, the Nobel committee recognized Dan Shechtman’s critical role in overturning a fundamental paradigm of crystallography by awarding him an unshared Nobel Prize. 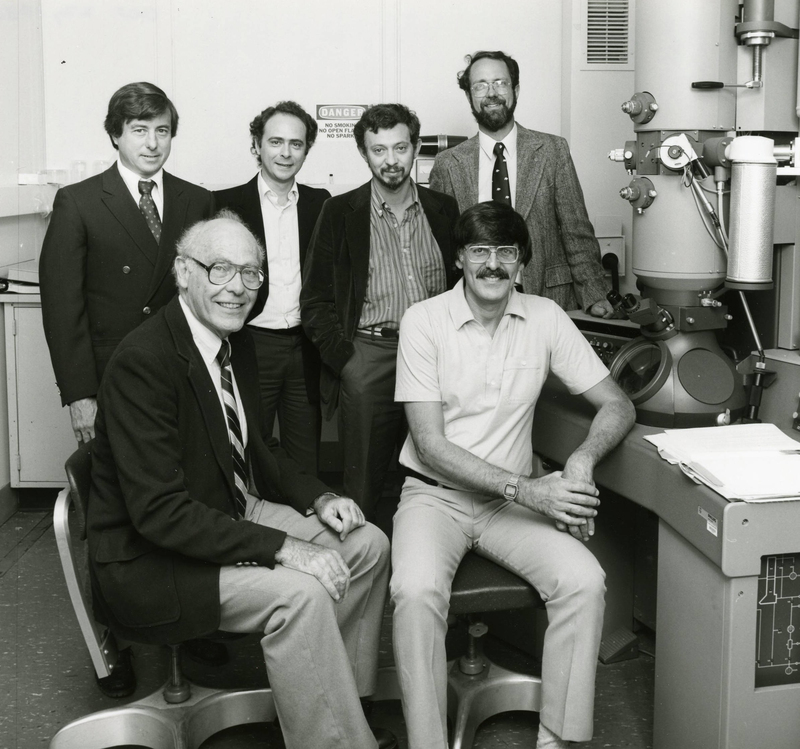 Collaborators on quasicrystal research in 1985 at NIST. From left: Frank Biancaniello, NIST; John Cahn, NIST; Denis Gratias, National Science Research Center, France; Leonid Bendersky, Johns Hopkins University (now at NIST); Dan Shechtman, winner of the 2011 Nobel Prize in Chemistry; and Robert Schaefer, NIST.